Even pregnant women can wake up one morning with that familiar feeling. Colds in pregnancy can hit at a moment’s notice as the body is concentrating more on baby than the immune system. Treating colds in pregnancy can be tough, but Jewish Penicillin offers a healthy, vitamin packed solution. Any chicken soup recipe can be considered Jewish Penicillin; most have the same base of ingredients, including chicken, chicken broth and vegetables. 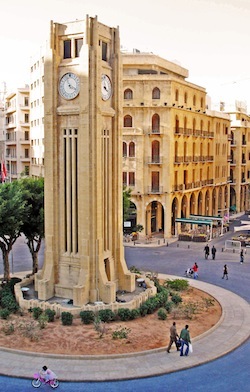 The Jewish population in Lebanon was not hindered by the Holocaust or German influence during World War II. Personal attacks within the country, however, diminished the Jewish population to near zero. In 1911, there were 5,000 Jewish people in Lebanon. When Israel was declared, Lebanon was one of the few countries that showed a significant increase in the Jewish population. Wars and battles between Islamic extremists and the Jewish community forced nearly every Jew out of the country. Today there are no more than 40 Jews in Lebanon. Mix all ingredients in the stuffing together in a large bowl. Stuff the inside of the chicken with the mixture. Sew the open cavity of the chicken closed with a thick thread. Place the chicken in a large stock pot and slightly cover with salted water. Bring to a boil and cook for 15 minutes. Place the chicken in a pressure cooker and cover with 3 ½ cups fresh water. Set the pressure cooker to 15 lbs and cook the chicken for 30 minutes. Remove the chicken from the pressure cooker and place in a baking dish. Add a bit of the broth from the pressure cooker to the bottom of the baking dish. Set the oven on 250 degrees and allow the chicken to slow cook while finishing the soup. Add the ¾ cup rice to the pressure cooker and seal. Cook for eight minutes at 15 lbs pressure. Open the pressure cooker and add a bit of broth from the chicken boil to the cooker if the rice is too thick for soup. Ladle the soup into serving bowls. Top the bowls with ground cinnamon and parsley. Serve the soup with the chicken sliced on a platter.